Christine ，第一次用湯種做方包，十分軟棉棉。Thanks for sharing! 你有沒有一個100% 全麥包（不用 white flour) 的方包食譜呢？我試了不同的也未能成功而太硬, 希望你能幫忙. Thanks! Christine - This is wonderful! 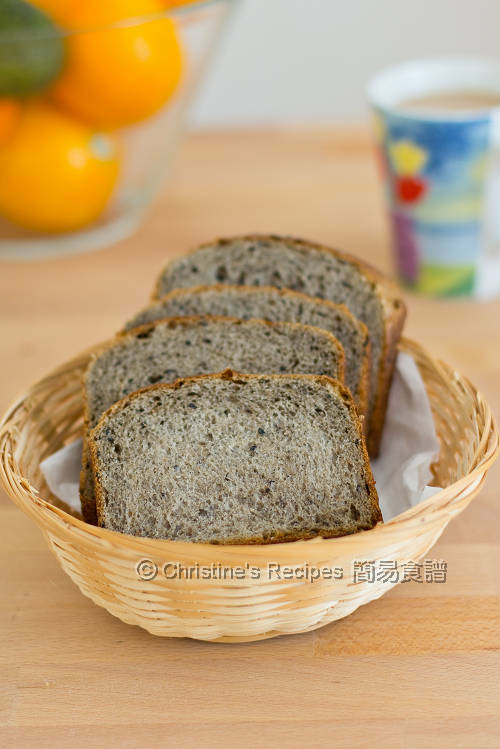 Wondering if you have a recipe for 100% whole wheat bread (湯種, and without using white bread flour)? 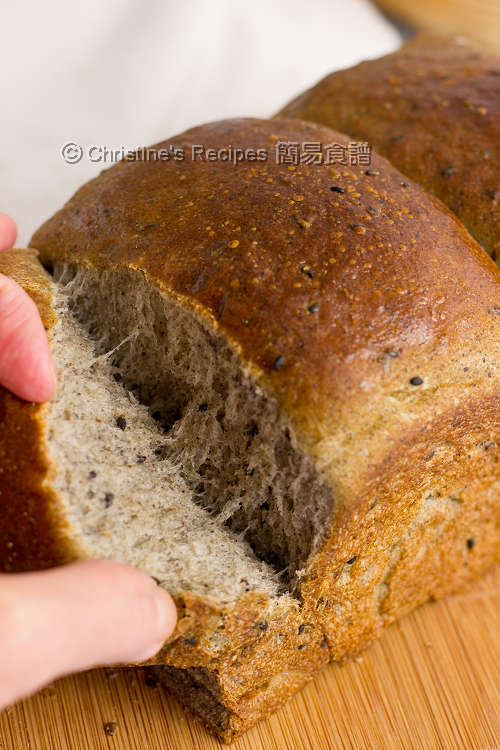 Can you tell me What is your brand name of the bread machine? Got two bread machines, one is Sunbeam, the other Lumina from Aldi. Hello Christine, thank you for your sharing. I really love your website. I used it a lot. 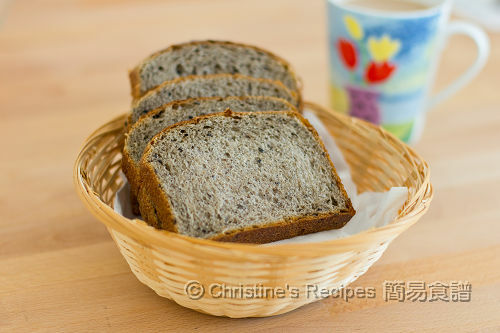 I am thinking to buy a bread machine. Is Sunbeam 5891 a good machine? I am new to making bread so I don't want to spend too much money on the machine. Mine is not Sunbeam 5891, and haven't used it before, so I can't tell whether it's good or not. You might ask someone who has made bread with this model. They can give you more practical answers. I have been using the Sunbeam 5891 with no problem. It is a pretty solid machine and does the job well. I often use the dough function on the machine then shape and bake using a conventional oven. Can I replace soy milk with normal full cream milk? I followed your recipe last night without making any adjustments. After the first rise in the bread machine, the dough raised double in size but it is very wet. there are lots of air holes but all very sticky. I cannot roll or shape it like you rise the second and third time. I still baked the bread. It is ok still moist but did not rise very nice. Why is it so wet and moist? Did I add the oil too late? 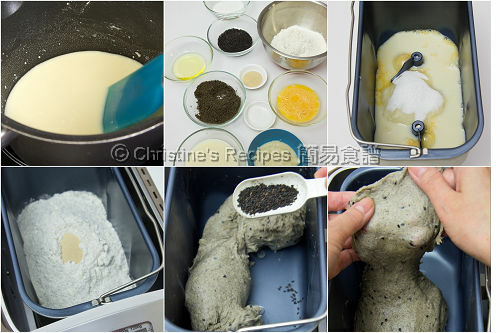 Or the tangzhong is not cooked properly? 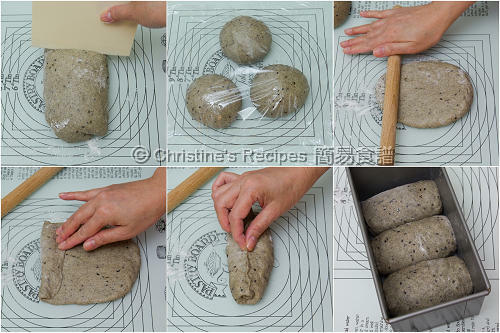 Tangzhong dough is quite wet but still workable. Did your dough look like mine shown in the picture?